03/22/18 Chrysler (fca us llc) is recalling certain 2017 dodge caravan and jeep wrangler vehicles. the brake switches on these vehicles may malfunction, keeping the brake lights illuminated and/or allowing the vehicle to be shifted out of the park position without the brake pedal being pushed. 01/12/17 Chrysler (fca us llc) is recalling certain model year 2017 jeep wrangler vehicles manufactured november 1, 2016, to november 3, 2016. the affected vehicles may have a fuel tank that has a cracked or broken control valve, possibly resulting in a fuel leak in a rollover event, debris in the fuel tank and/or the potential of over fueling the vehicle. 12/14/16 Chrysler (fca us llc) is recalling certain model year 2007-2010 jeep wrangler jk vehicles manufactured march 2, 2006, to august 13, 2010. the clockspring assembly may become contaminated with dust and cause the air bag circuit to fail. 08/11/16 Chrysler (fca us llc) is recalling certain model year 2011-2016 right hand drive jeep wrangler vehicles manufactured february 16, 2010, to may 2, 2016. the clockspring assembly may become contaminated with dust and cause the air bag circuit to fail. 03/03/15 Chrysler group llc (chrysler) is recalling certain model year 2011-2013 jeep wrangler vehicles manufactured february 16, 2010, to july 19, 2013. corrosion in the exterior heated power mirror electrical connector may result in an electrical short. 10/23/14 Chrysler group llc (chrysler) is recalling certain model year 2014 chrysler town and country and dodge grand caravan vehicles manufactured march 20, 2014, to april 22, 2014, and 2014 jeep wrangler vehicles manufactured march 21, 2014, to april 22, 2014. due to a software error, the tire pressure monitoring system (tpms) may fail to learn the locations of the individual sensors while the vehicle is being driven. as a result, the low tire pressure warning light will illuminate, despite the the tire pressures being within specification. should one of the tires lose air pressure, the driver would not be notified of the change in air pressure. as such, these vehicles fail to comply with the requirements of federal motor vehicle safety standard no. 138, "tire pressure monitoring systems." 09/23/13 Chrysler group llc (chrysler) is recalling certain model year 2012-2013 jeep wrangler vehicles equipped with a 3.6l engine and an automatic transmission and manufactured january 23, 2011, through february 23, 2013. the power steering line may contact and wear a hole in the transmission oil cooler line resulting in a loss of transmission fluid. 08/16/10 Chrysler is recalling certain model year 2010 left hand drive jeep liberty, dodge nitro and ram 1500 truck; right and left hand drive jeep wrangler vehicles. these vehicles may have been built with an improperly formed master cylinder to hydraulic control unit (hcu) brake tube assembly end flare. Chrysler safety recall no. k15.owners may also contact the national highway traffic safety administration's vehicle safety hotline at 1-888-327-4236 (tty 1-800-424-9153), or go to http://www.safercar.gov . 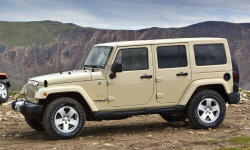 06/30/08 Chrysler is recalling 1,585 my 2007-2008 jeep wrangler, right hand drive only, vehicles. some vehicles may have insufficient clearance between the steering intermediate shaft and rear brake tubes. Prolonged brake tube contact could wear a hole in the tube and cause a partial brake system loss. this could cause a crash without warning. Dealers will install a revised brake tube clip to retain the tubes, inspect the brake tubes for damage due to potential contact with the steering intermediate shaft, and replace the brake tubes if necessary. the recall began on june 30, 2008. owners may contact chrysler at 1-800-853-1403. Chrysler recall no. h17.customers may contact the national highway traffic safety administration's vehicle safety hotline at 1-888-327-4236 (tty: 1-800-424-9153); or go to http://www.safercar.gov. 04/08/02 Engine On certain sport utility vehicles, water and impurities can enter into the ignition switch, causing a short circuit. 08/31/15 Transmission and Drivetrain Chrysler (fca us llc) is recalling certain model year 2006 dodge viper and jeep wrangler and liberty vehicles manufactured july 1, 2005, to july 31, 2006. in the affected vehicles, the springs within the clutch pedal position switch that prevents the vehicle from starting unless the clutch pedal is pushed down may break. as a result, the vehicle may not be started when the clutch pedal is pushed down or the engine may crank and start without the clutch pedal being pushed down causing the vehicle to unexpectedly lurch. Chrysler will notify owners, and dealers will replace the clutch ignition interlock switch, free of charge. the recall began on august 31, 2015. owners may contact chrysler customer service at 1-800-853-1403. chrysler's number for this recall is r13. 03/24/11 Transmission and Drivetrain Chrysler is recalling certain model year 2010-2011 jeep wrangler vehicles manufactured from july 12, 2010, through september 10, 2010. some vehicles may experience a degradation of fastener torque for various front and rear axle attachments to the chassis module. Chrysler safety recall no. l09.owners may also contact the national highway traffic safety administration's vehicle safety hotline at 1-888-327-4236 (tty 1-800-424-9153), or go to http://www.safercar.gov . 02/22/10 Transmission and Drivetrain Chrysler is recalling certain model year 2007 through 2008 jeep wrangler vehicles manufactured from june 2006 through july 2008, equipped with automatic transmissions. these vehicles were not equipped with a transmission fluid temperature warning system. Dealers will inspect and install a "hotoil" message in the instrument cluster and a chime indicating an elevated transmission fluid condition. 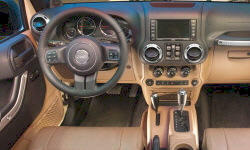 the recall began on february 22, 2010. owners may contact chrysler at 1-800-835-1403. Chrysler recall no. j30.owners may also contact the national highway traffic safety administration's vehicle safety hotline at 1-888-327-4236 (tty 1-800-424-9153), or go to http://www.safercar.gov . 08/07/06 Transmission and Drivetrain On certain sport utility vehicles equipped with 6 speed manual transmissions, the hydraulic clutch master cylinder linkage rod may break. this may not allow disengagement of the clutch when the pedal is depressed. Daimlerchrysler recall no. f22. customers may also contact the national highway traffic safety administration's vehicle safety hotline at 1-888-327-4236 (tty 1-800-424-9153), or go to http://www.safercar.gov. 12/06/10 Brakes and Traction Control Chrysler is recalling certain model year 2007 through 2010 jeep wrangler left and right hand drive passenger vehicles manufactured from may 15, 2006 through april 22, 2010. there may be contact between the right and left front inner fender liners and the right front and left rear brake tubes which could cause wear of the tubes causing a brake fluid leak. Chrysler's recall campaign number is k13.owners may also contact the national highway traffic safety administration's vehicle safety hotline at 1-888-327-4236 (tty 1-800-424-9153), or go to http://www.safercar.gov . 07/04/11 Suspension and Steering Chrysler is recalling certain model year 2011dodge journey, jeep wrangler, chrysler 200, chrysler 200 convertible, dodge avenger, dodge nitro, jeep liberty, dodge caliber, jeep compass, jeep patriot, dodge grand caravan and chrysler town & country vehicles. some of these vehicles may have been built with a missing or incorrectly installed steering column pivot rivet. Chrysler's safety recall no. l23.owners may also contact the national highway traffic safety administration's vehicle safety hotline at 1-888-327-4236 (tty 1-800-424-9153), or go to http://www.safercar.gov . 12/31/69 Suspension and Steering Chrysler (fca us llc) is recalling certain 2018 jeep wrangler vehicles. the intermediate steering shaft may not have been properly welded causing a split where the external spline is formed. Chrysler will notify owners, and dealers will inspect and, as necessary, replace the intermediate steering shaft, free of charge. the recall is expected to begin july 14, 2018. owners may contact chrysler customer service at 1-800-853-1403. chrysler's number for this recall is u48. 11/10/16 Electrical and Air Conditioning Chrysler (fca us llc) is recalling certain model year 2016-2017 jeep wrangler vehicles manufactured june 16, 2015, to august 14, 2016. in certain crash conditions, the front impact sensor wiring may be pulled until it detaches before a signal can be received by the occupant restraint controller (orc). 03/03/15 Electrical and Air Conditioning Chrysler group llc (chrysler) is recalling certain model year 2011-2013 jeep wrangler vehicles manufactured february 16, 2010, to july 19, 2013. corrosion in the exterior heated power mirror electrical connector may result in an electrical short. 06/10/13 Electrical and Air Conditioning Chrysler group llc (chrysler) is recalling certain model year 2008-2012 jeep wrangler right-hand drive vehicles manufactured february 1, 2007, through october 10, 2011. the affected vehicles have airbag clockspring assemblies that could experience broken airbag circuits. 07/05/07 Electrical and Air Conditioning On certain vehicles, the totally integrated power module (tipm) was programmed with software that may allow the engine to stall under certain operating conditions. Daimlerchrysler recall no. g25.customers may also contact the national highway traffic safety administration's vehicle safety hotline at 1-888-327-4236 (tty 1-800-424-9153), or go to http://www.safercar.gov. 12/31/69 Electrical and Air Conditioning Chrysler is recalling certain model year 2008-2012 right hand drive (rhd) jeep wrangler vehicles manufactured from february 1, 2007, through october 10, 2011. some vehicles may be equipped with driver's airbag clockspring assemblies that could experience a compromised airbag circuit resulting in an airbag lamp illumination, which indicates that the airbag may not deploy. Chrysler's recall number is l37.owners may also contact the national highway traffic safety administration's vehicle safety hotline at 1-888-327-4236 (tty 1-800-424-9153), or go to http://www.safercar.gov . 12/31/69 Other Chrysler (fca us llc) is recalling certain 2018 jeep wrangler vehicles. the rear under body ladder rail may corrode, possibly reducing the strength of the rear floor pan and causing the left rear seat mount to become loose. Chrysler will notify owners, and dealers will inspect and, as necessary, coat the interior and exterior of the driver's side rear underbody ladder rail with three-part rust protection. the recall is expected to begin june 2018. owners may contact chrysler customer service at 1-800-853-1403. chrysler's number for this recall is u27.